So your times in GMT are 10am-8pm... YAY, completely different... Although they do work slightly better for me :p Is the day alright? 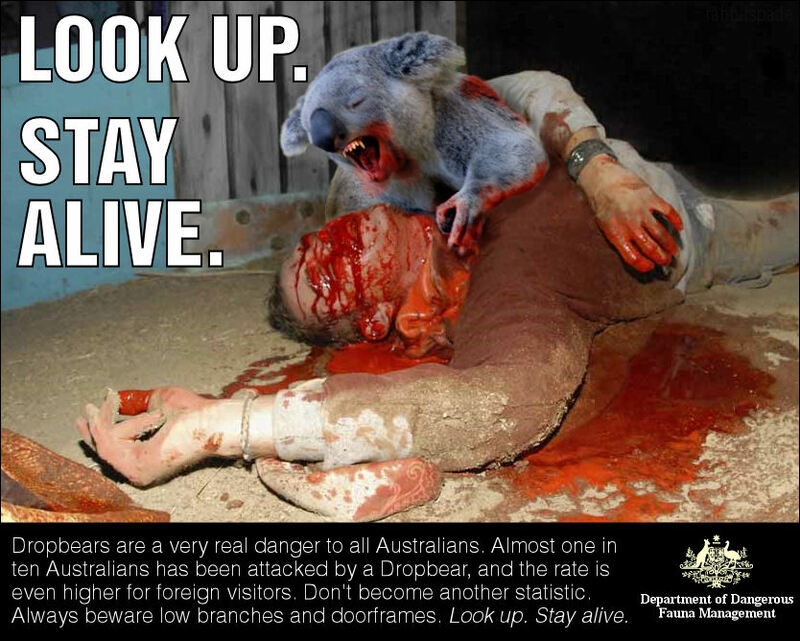 That's a lovely picture you have there, except for the creepy koala thing. Yay for sigs btw, where'd you dig up those? My laptop ended up having to be cut up for scrap. I have obtained a new one, but it hasn't yet been shipped to me. I may have it as early as this coming weekend, or sometime next week. Until then, my only way to play minecraft is on a laptop borrowed from my father, which not only is only available to me at night when he isn't using it for his work, but also has an absolutely horrid graphics processor so it only breaks into the double digits of FPS on rare occasions. Running around the End trying to fight the dragon on this computer is not gonna be a fun time. On the other hand, I've killed the Enderdragon solo on the other server I used to play on, so if I have to sit this one out, it serves me right for not waiting for anyone else to join me last time. In the meantime, I'm probably reliably online from about 11pm to 1am Chicago time, or 4am to 6am UTC, which is apparently 5am to 7am British Summer Time. Whether you mean the GMT adjusted for daylight savings time in the summer or not will determine which time slot I'm available in. It would probably be easier for me to stay up later than go online earlier, due to family obligations in the area of washing dishes after dinner, but an hour earlier can probably be managed if need be. I'm not adjusting for daylight savings time... It may be at least a week before we are ready anyway... I'll add your time to it. Trying to figure times out. I am about -5 or -6 GMT, but as long as it is not around sunday or tuesday most times will work for me. Is the 6th of July still our set date? It might be because I'm tired but I read that 5 times and still have no idea what you mean. Just make a suggestion and hopefully I can make it work. After friday the 13th works best for me though. Not really, a couple of hours does a lot. The sleepiness passes and comes back later and allows me to make it an early night if I want to. And do you do that?